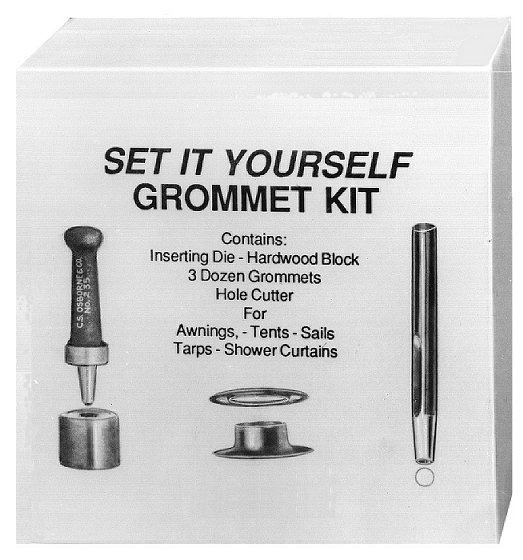 Everything you need to set grommets. Each kit cosists of a No. 235 gromet die, a No. 245 cutting punch, three dozen brass plain rim gromets and washers, a small cutting board and complete instructions.